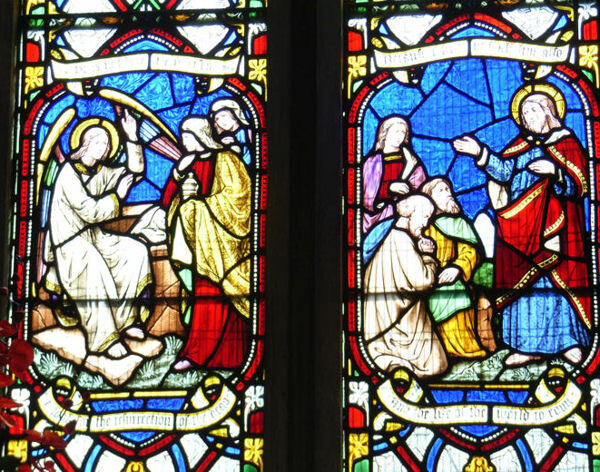 Many of the fine churches in the Faversham area have superb stained glass windows, depicting events both in Christianity and social development over time. We have an excellent collection of pictures of many of the stained glass windows. which can be seen above. No one is really sure when stained glass windows first appeared; they were fragile and often didn't survive natural or man-made disasters. Perishable plaster or wood could have been used as supports. The Romans used glass in windows as one of several translucent materials, along with mica, alabaster (which could be any white stone) and shell. Roman glass probably had the imprint of sand casting on one side. The first decorative windows appearing in Christian churches around 348 - 410 AD are mentioned by Prudentius. Stained glass was reintroduced into Britain via Gaulish churches. To date, the earliest example found goes back to 540 AD. 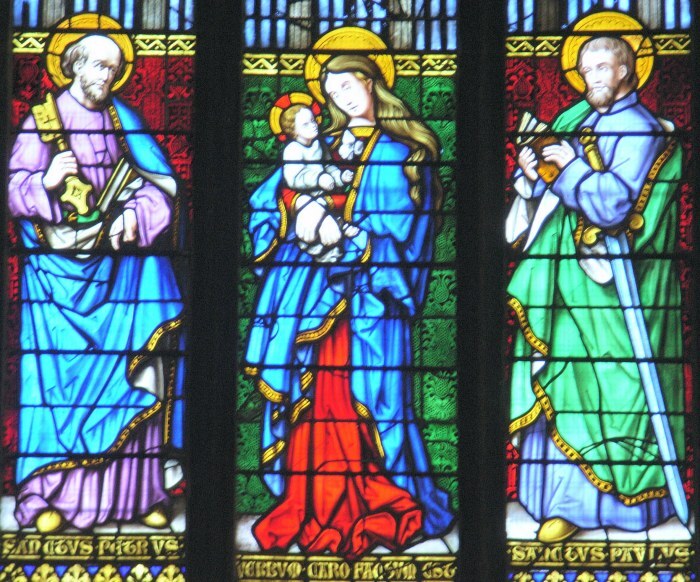 Stained glass windows have been an integral part of religious architecture for centuries. In the UK after the 16th-century Reformation, with its distaste for idolatry in any shape or form, much medieval glass was wantonly destroyed. Some however survived, such as the chancel east window at Selling, which goes back to 1299-1307. There were few new commissions, and the manufacturing techniques were all but forgotten. 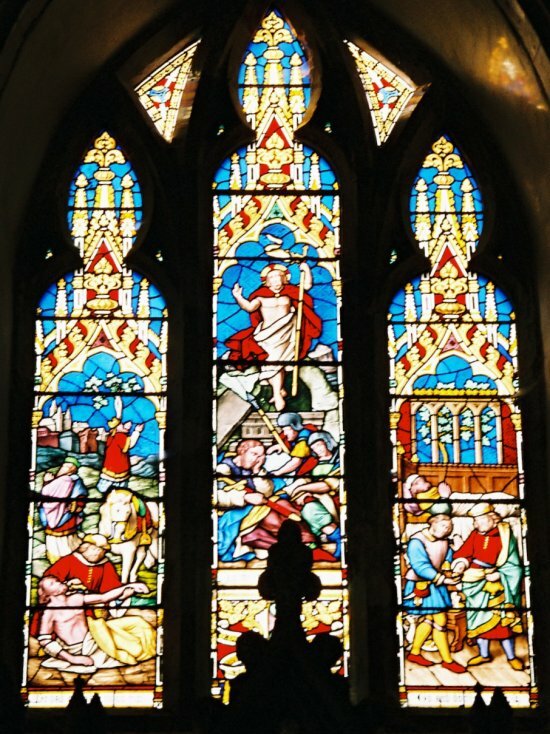 However in the 19th century, with the Gothic Revival in architecture and a trend to Anglo-Catholicism in the Church of England, it became acceptable both to reinstate stained glass in medieval churches and to instal it in the many new ones which were being built for a rapidly increasing urban population. One of the great pioneers of this revival was Thomas Willement (1786-1871), who in 1845 for retirement bought the church and house at Davington Priory, on the outskirts of Faversham. He had completed a new great east window for Faversham Parish Church in 1844, and perhaps this commission introduced him to the town. He continued working after moving to Davington, and there are examples of his fine work, with its jewel-like colours, in several local churches; Ospringe, Selling and Sheldwich for example. 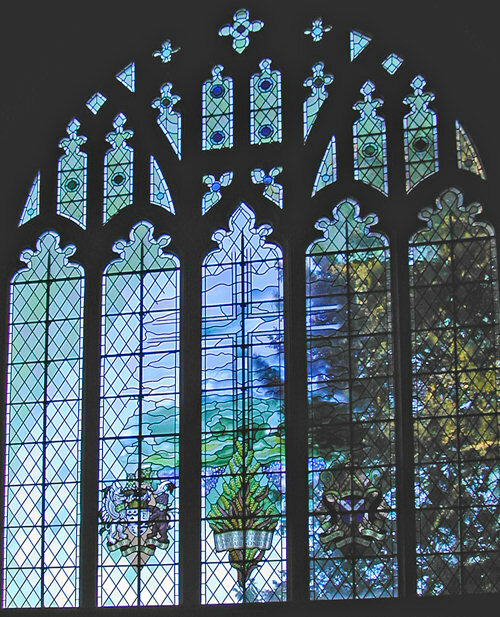 His window for the Parish Church now does duty as the great west window in the Almshouses Chapel. Works by the other great Victorian stained glass studios, like Clayton & Bell, feature prominently in most local churches. Because of their profusion they can all too easily be overlooked. Many are beautiful and significant works of art. 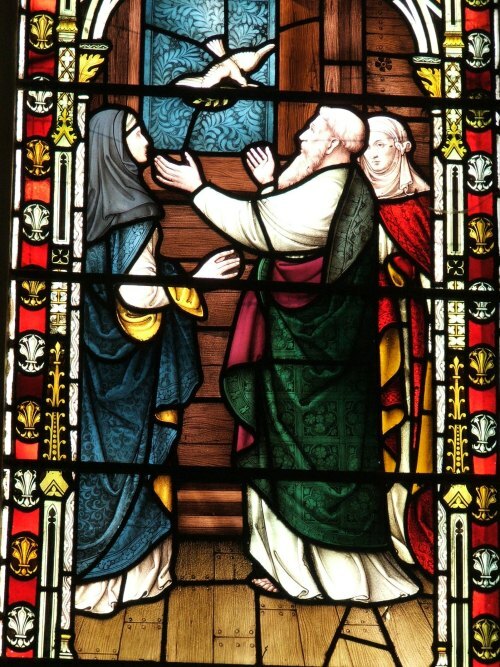 A detailed guide to the windows in the Parish Church is available in the church and at the Fleur de Lis Heritage Centre. You can find out more about stained glass windows from the BBC Website.